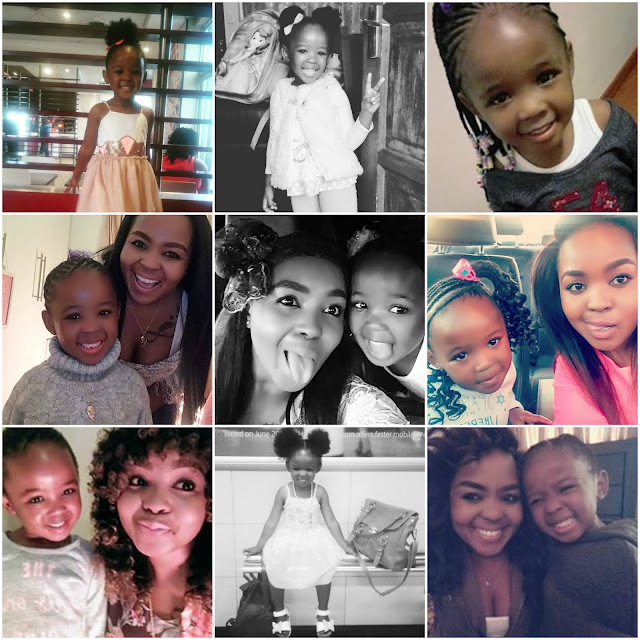 So I haven’t blogged in a while because believe it or not, it has been really hectic. So many changes and movement in my life recently, “Thank you Lord” I haven’t had much time on my hands at all. So today I just wanted to blog a bit about savings. It is the start of a New Year soon and we want to start it off on the right foot. I have always had a vision of a healthy and wealthy Black community through strong relationships. On top of that my boyfriend is obsessed with wanting us to save that I simply couldn't get away from it. Yes we do come from an underprivileged background but that is not an excuse to dwell in debt and poverty. I always believe we can change this one couple at a time. I say couple because when you and your partner share a vision and share dreams it will filter down to your children they will reap the seeds of your labour in turn making a significant change from one generation to another. So if you have a look at the 52 Week Savings Plan below, you will notice that I have turned it up a notch for those that have killed the first one. What can work is doing the plans in bigger groups so dividing the weekly amounts by 3 or 4 then splitting the money at the end of the year. SOLACE - Love on it's own is not fulfilling without it. In my personal experience, preference and belief, love cannot live where solace does not exist. When two people are in love, or become an item it’s like forming a merger we need to form a union but in that still maintain our individuality. Yes, you need to love your partner but with solace, you need to be able to alleviate sorrow and distress in your partner’s life, you need to be able to give them the comfort of knowing give them the right amount of consolation. Do not be happy knowing you are a form or contributor of anxiety. Your relationship should be absent of fear but full of reassurance. P.S. Two heads are meant to be better the one, yes to chefs can spoil the pot but with right recipe and combination of skills and aligned vision they could create a masterpiece. I read it from time to time just to remind myself. From the day, you started to grow inside me I felt a tickle in my stomach and joy in my life. Yes, there were feelings of fear, anxiety and frustration that had nothing to do with you only a result of my lack of preparation. 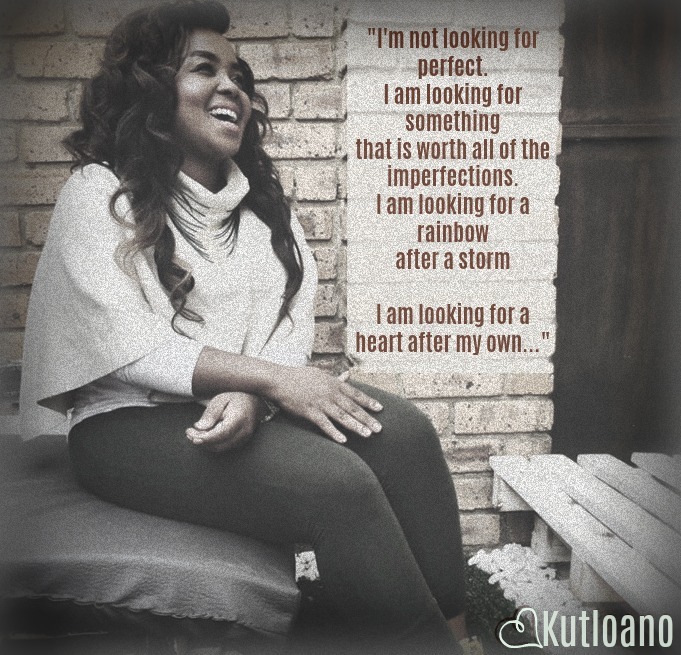 I was entrusted with God’s most precious gift and was overwhelmed by the task given to me that I had to now take on. As you grew stronger and bigger your presence became stronger and when you graced this earth with your presence it marked the beginning of a whole new journey, the beginning for my purpose in life. Giving birth to you felt like giving birth to a part of me together with my heart. From that moment, I knew that your pains would become mine and that my struggles would become yours. I will never allow myself to fall because I don’t want you to inherit my struggles. I will be the best that I can be for you to become the greatest. I will put your needs before mine because I was entrusted by God to take care of you. I promise that I would hug you every day of your existence and tell you that I love you so that you know how important you are. I promise that I would protect myself so that you never see me hurt because I don’t want your heart to ever be broken. (I remember the time you told me not to drink a lot of water because its spilling from my eyes.) I knew I had to try harder. I promise that I will respect myself so that you learn respect through my actions. I realised I could instil in you all the values I wanted you to have however the most important thing I need to instil in you is the mentality of not conforming to society. I promise that I will prepare you for the worst and always wish for you only the best. I promise that I will teach you how to express yourself so that you are never misunderstood. I promise to teach you how to forgive so that you do not burden yourself with resentment. I promise that you will never hit rock bottom because if you ever fall I will lay on the ground and you will land in my arms and never hit the floor. Being a mother has taught me a lot of valuable lessons and I have only you to thank for that. Your presence in my life has made me a better woman, a better friend, a better person, a better lover and only the need to strive in being a perfect mother for you. When you are happy I want to share each moment of your happiness with you. When you are sad I want to be there to comfort you. When you are hurt, I will do everything in my power to make your pain go away and if I fail I will share in your pain to lighten the load. If you ever should stumble across any obstacles in life I will hold your hand every step of the way and make sure that you never fall. (But I realised form your playground indabas that it’s impossible for me to be there every time you fall. When things get, tough I want be the first person that you come to and I promise to always be strong enough for the both of us. I know the pain and feeling of being alone and I never ever want you to have to go through that. I want you to know that you can always count on me for anything and I will protect you from harm every day of my life. You have a mother and father that loves you and would give anything in the world to ensure that you are always happy. You have a father in heaven who wants nothing but the best for you and whenever you feel lost and alone I will teach how to kneel and pray because there will be no man on earth greater than your creator. I have many regrets in life but I could have you all over again. I have made some bad choices in my life but you were my best decisions. I have endured pain at some point but you are my joy. I've been down but you are the highlight of my life. You are my strength, my courage, my sunshine, my happiness. You are my drive, my perseverance, my force and my rock. with every breathe that I take. 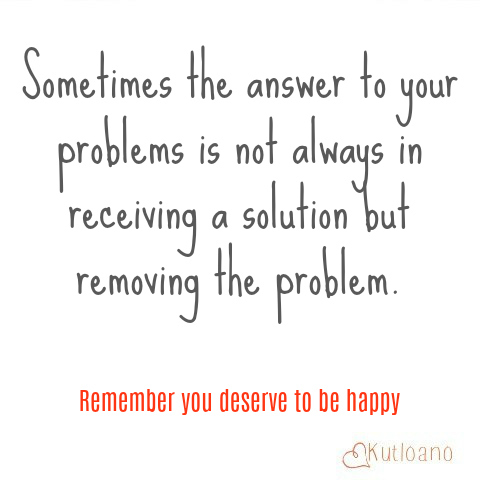 Sometimes the answer to your problems is not always in receiving a solution but removing the problem. There are people that can’t tolerate you being happy especially if your pursuit of happiness is not in line with theirs. I believe the most selfish thing a person can do is want someone else to rather be miserable if their happiness is not in line with theirs. Do not make it difficult for a person that wants to leave you to go, throw them a farewell party. Sometimes we are not chosen for them but who are we to keep them from their destination when we were only part of the journey? If you are a "baby mama" as they would classify them, let go of your anger and if the father of your child loves his child that is enough don’t be miserable because he chose not to be with you it was not in line with his pursuit for happiness. You did not plan to be a single parent but remember sometimes the answer to your problems is not always in receiving a solution but removing the problem. Until you let go of that you will never truly be happy with anyone else. You can’t play God with someone else’s life you cannot trap or force them into being a part of your life or your journey of happiness. Let go of the bitterness do not imprison people with your version of happiness. Do you ever feel like your pursuit of happiness freaks people out? Do people warn you to calm down, to be reasonable, to not get too excited? Do you catch whispers about how unfair it is that you’re not miserable? I hope you know that it’s not about you. Maybe it’s fear, or maybe it’s insecurity, or maybe it’s a general distrust of change. Whatever is triggered in someone else is up to them to sort out. You aren’t responsible for how your pursuit of happiness makes other people feel. You’re not doing anything wrong by trying to build a happy life for yourself, and you have every right to define what that means on your own terms. In fact, I believe you have a responsibility to yourself and the world at large to respond if you feel the call to pursue happiness. I feel that ignoring your purpose to make someone else feel comfortable would cause you and them more harm than good eventually. Do not ever doubt that you are worthy of happiness. Do not abandon your pursuit because someone else is uncomfortable. Try to find the silver lining behind every dark cloud in your life. - Learn to let go! I’ve always had a phobia or fear of being alone, and of things breaking and others ending. I’ve held on tight to forever mores and happily ever after. I’ve always been afraid of the unknown and therefore always stuck to the plan. I’ve always feared discomfort and grasped on to every shred of comfort thrown my way. But once I started being alone not out of enforcement but solely out of choice. Remember If you can’t love yourself enough and fulfill your own desires no man can do it for you and you certainly will not be able to love or fulfill another. Letting go for me marked the beginning of things breaking, but you know what I’m not afraid because in reality when things break they are replaced with brand new ones. No chips no scratches pure and perfect a new beginning. 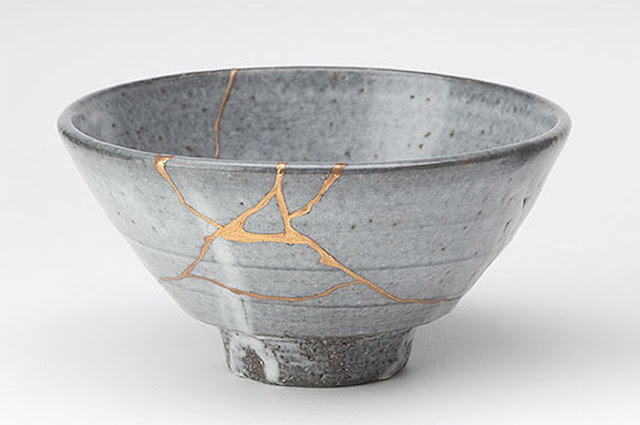 “There is a Centuries-Old art of repairing broken pottery with gold called Kintsugi which is practiced in Japan which means golden joinery. fixing broken pottery with a special lacquer dusted with powdered gold, silver, or platinum. Beautiful seams of gold glint in the cracks of ceramic ware, giving a unique appearance to the piece. Bringing this back to relationships… A break up or letting go is not always a bad thing. “When someone leaves, it’s sometimes because something better is about to arrive.” In everyday life, we congratulate people for being promoted for graduating and for moving in to new homes. This does not mean leave the one you are with for something better all the time nope or else you will never stop leaving. However, if you are at a point where you are unfulfilled and feel weighed down and stagnant in your life because of it and believe there is more for you than where you currently are then do it. So often we tie love to so many things that those ties become so strong that we can’t even break them ourselves and we strangle our souls fighting to break out. Learn to love purely put the finances, the money, the comfort and the external benefits of the relationship aside for a second. If all those things were taken care off if your children were old and had started their own lives. If money grew on trees where would you be? If it’s not where you are currently then it’s not where you should be either. Because then it means your external needs have become the foundation of your relationship and love is just the roof over your head. It should be the other way around. When I marked the beginning of the end and the start of the beginning there wasn’t a shred of fear in my fibre, because when one chapter closes a new one is opened and the closer we are to the happily ever after. At that moment, I did not have a plan and frankly I had no clue of what the future holds for me and I won’t lie I was a little afraid in the beginning then I decided to trust in the plan that God has for my life because that is more important than that I had for myself. I am not the woman you will find in church every Sunday or at the Cell group every week, but boy when I pray, when I have my time with God it gets personal. I know what prayer has done for me and how it has pulled me through the hardest of times so I do not have a single doubt when I chat to my God that my prayers do not fall on deaf ears. “Do not be anxious about anything, but in every situation, by prayer and petition, with thanksgiving, present your requests to God. And the peace of God, which transcends all understanding, will guard your hearts and your minds in Christ Jesus.” From the book of Philippians. Can’t tell you which verse exactly still working on cramming verses I still struggle with birthdays but my God is patient. After I read this the anxiety left completely. I am one person that holds people to their words so in this instance I was like God you got this. I still am in absolute discomfort about where I am right now but I have broken ties with my comfort and let go of what I have been holding on too for so long. I finally stepped out of my comfort zone and started to LIVE and not survive. So, I just took a deep breath and told myself that I am going to be just fine; in fact I am not only going to be fine but I am going to be great because now I have learned that I am amazing all by my own. If you are like me, I tend to handle the major calamities in life better than the mundane, ordinary but definitely stress-inducing minutia of daily living. But guess what stress has no place in a heart that kneels before the manger. Life is so unpleasant when you have nothing left to feel. Sometimes letting go hurts however it beats the daily pain of holding on to something unpleasant. If you wanting to be happy, displeases anybody it is completely normal because that somebody is putting themselves first. Learn to close some doors today. Not because of pride, incapacity or arrogance, but simply because they lead you nowhere. It is always important to know when something has reached its end. Closing circles, shutting doors, finishing chapters, it doesn’t matter what we call it; what matters is to leave in the past those moments in life that are over. Finally, out of all of this do not be afraid to love again. Love is always new. Regardless of whether we love once, twice, or a dozen times in our life, we always face a brand-new situation. Love can consign us to hell or to paradise, but it always takes us somewhere. We simply have to accept it, because it is what nourishes our existence. If we reject it, we die of hunger, because we lack the courage to reach out a hand and pluck the fruit from the branches of the tree of life. We have to take love where we find it, even if it means just for a few hours, days, weeks. The moment we begin to seek love, love begins to seek us. So ladies, we all know Valentine’s day is around the corner therefore I thought I should do a little article about great ideas for valentine’s day. So, my take on Valentine day is not about how much you spend but more on the memories you make. People have become skeptical about it as time passed only because we have merely become so lazy to put thought behind it that we just run to the store and buy expensive gifts and half the job is done! Unfortunately, if you are like me and are sentimental at heart what matters most is the memories created more than the price tag of gifts received that matter. 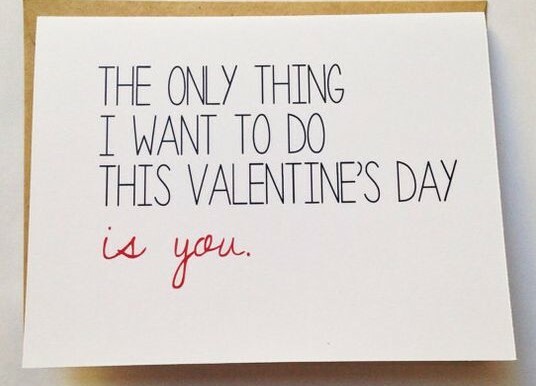 Having said that… here is a list of our top three ideas for valentine’s day and what you can do on this special day. So, this event is hosted by Picnics in the park. On the day, they will be displaying two movies yep, they are love stories. 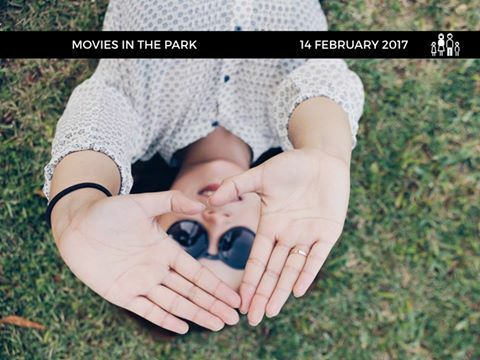 You can roll out your picnic blanket and bring along a picnic basket and enjoy a time under the stars with your loved one. What I love most about this event is that it caters for children too in fact you can bring out the whole family and they have a designated play area for children. This event is hosted by Nathi Mankayi, Vusi Nova, Muthaland Entertainment, and Ghetto Ruff. This is more like a lover’s concert with beautiful music featuring Afro Soul Singers, Nathi, Vusi Nova and Ntando with special guest artists to be announced. Nathi South Africa`s biggest CD seller and downloads surpassing 9.5 million streams on his track Nomvula heads the lineup. Vusi Nova, platinum selling artists with his hit album Naninina performs alongside Nathi and they bring their Eastern Cape soul mate Ntando who has won 6 MetroFM awards and 7 Sama`s to complete this soul loving evening of love songs. The prices here are from about R250 to R950 for VVIP. Which is a bargain considering the fact that you have all these amazing artists in one place. I don’t know about you but I can’t separate music and love. They will have a a cash bar as well as food available for you to purchase. Just a great night out to spend with your loved one and maybe just reconnect. 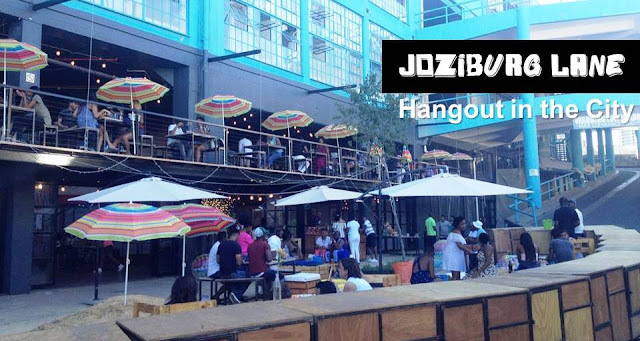 This event is hosted by Joziburg Lane, the lovely thing about this is that it does not just cater for couples but also for singles that would like to mingle with friends on this day. It is a shared experience and ideal for groups, singles and couples who are tired of the age-old romantic table-on-its-own Valentine’s recipe. No-one wants to sit at home on Valentines, so grab a group of friends, a significant-other or come on your own and mingle while enjoying delectable food and drinks. The cost is R380 per person which includes a series of small tasting platters, per person. And a welcome flute of local bubbly. You need to E-mail gerald@joburgplaces.com to book or send a text/whatsapp message to 082 894 5216. So, these are my top three events on Valentine’s day this year. I do hope that you will try out at least one of them and let me know how it goes. For those that are looking to purchase a gift for bae… and want to run away from the ordinary chocolates and flowers you definitely need to check out http://www.mantality.co.za/gifts.html this is definitely SA’s #1 online store for men and they have a variety of gift selections for Valentine’s day for me. Today I will be doing a review on a soap bar I recently purchased which was actually suggested by my hair dresser called "Dudu-osun African Black Soap"
Just to give you quick background on the heritage of my skin. I use to have really terrible acne growing up, I remember my mother use to call me "lunch bar" yep just like the chocolate bar. So she suggested I see a dermatologist, which I did and spent about R1200 every month on consultation and medicine. I did this for about 6 months and it did help as I was promoted from being called "lunch bar" to being called "sand paper"
At the moment I have a magic serum ointment which I use (Will have it under my shop very soon). Its completely safe and works like magic. But I needed a good cleansing or soap routine to go with it. And then I discovered this magic called "Dudu-osun African Black Soap"
It is crafted entirely from natural ingredients and herbs. It has a creamy leather leaving your skin feeling moisturized and soft. Scented with osun (camwood extract), citrus juices, and native honey. With aloe vera and natural vitamins. 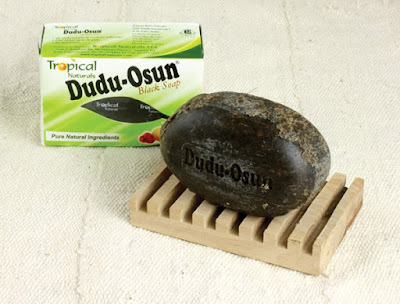 Benefits of "Dudu-osun African Black Soap"
I was my face twice a day with the soap morning and night and once a week I use a face scrub sponge as opposed to my hands to exfoliate. You should give it about six weeks to see the difference, I will be posting before and after pictures soon. However of all honesty I noticed the difference after the first wash of using the "Dudu-osun African Black Soap".